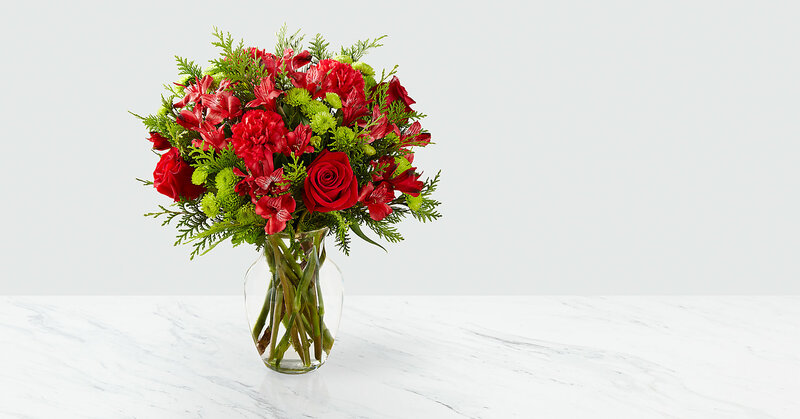 The FTD® Holiday Happenings™ Bouquet blooms with the goodwill and cheer of the Christmas season to send your warmest wishes to your favorite friends, family, and co-workers! 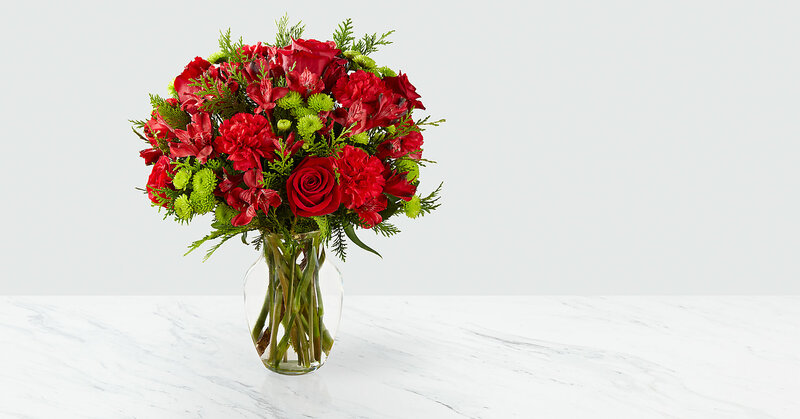 Rich red roses, red carnations, and red Peruvian Lilies are accented perfectly with bright green button poms and a collection of lush Christmas greens to create a stunning seasonal display. 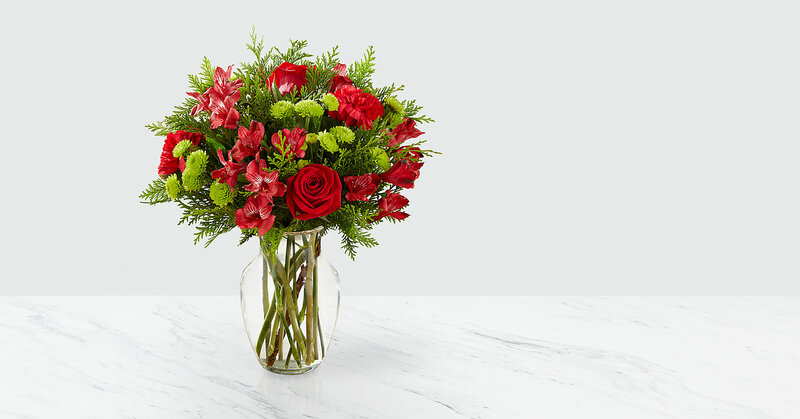 Presented in a clear glass vase, this gorgeous holiday flower arrangement is set to make a heart-warming holiday gift! GOOD bouquet is approx. 15"H x 12"W. BETTER bouquet is approx. 15"H x 13"W. BEST bouquet is approx. 16"H x 14"W. EXQUISITE bouquet is approx. 17"H x 15"W. Your purchase includes a complimentary personalized gift message.